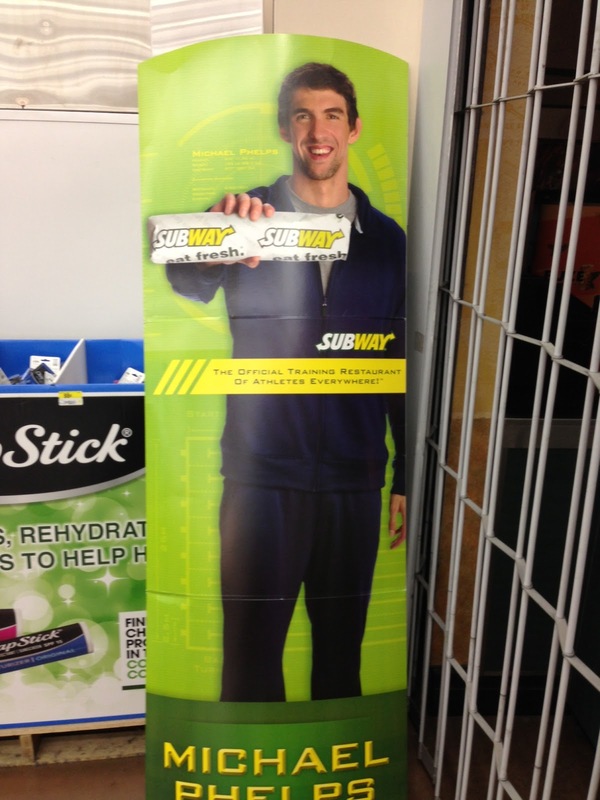 Given Michael Phelps's drug-related admissions, I had to wonder what that long, tightly wrapped cylindrical thing was in his hand. It's a footlong Oven-Roasted Doobie & Cheese on Parmesean & "Oregano". Would you like Cheetos with that?